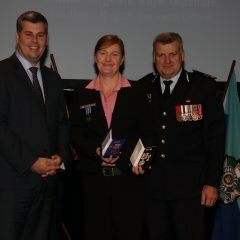 The Honourable Mark Ryan, Minister for Police and Minister for Corrective Services, Ms Jennifer Howard MP, Assistant Minister of State Assisting the Premier, Assistant Commissioner Mike Condon and Acting Assistant Commissioner Darryl King from Queensland Fire and Emergency Services have congratulated members who received medals and awards at a ceremony in Toowoomba this morning. 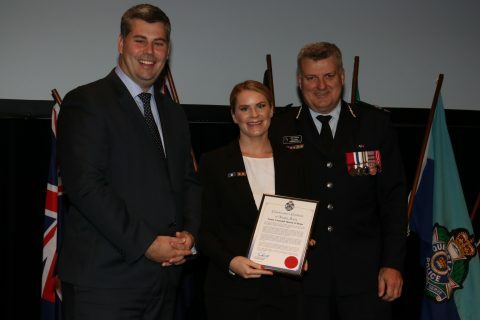 The Police Minister said the recipients illustrate the professionalism that is a hallmark of the Queensland Police Service and Queensland Fire and Emergency Services. 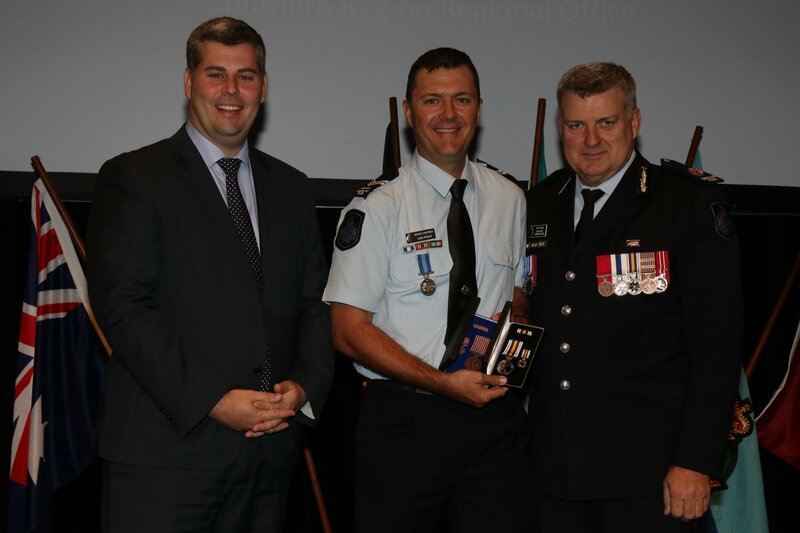 “This ceremony is an opportunity for officers and staff of both services to be presented a variety of national, state and local awards for length of service, diligence and meritorious duty. 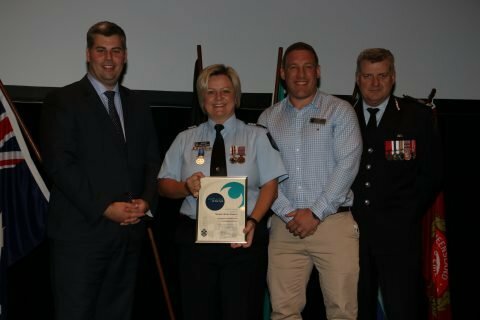 “They are a credit to their organisations, to the community they serve, and to their family and friends,” Minister Ryan said. 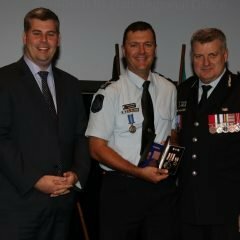 Today’s presentation saw 27 QPS officers and staff members recognised for their outstanding commitment to serve the Queensland community. 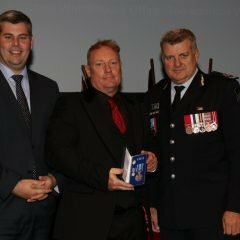 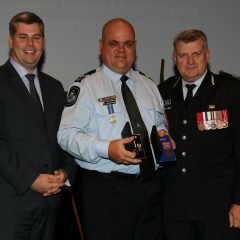 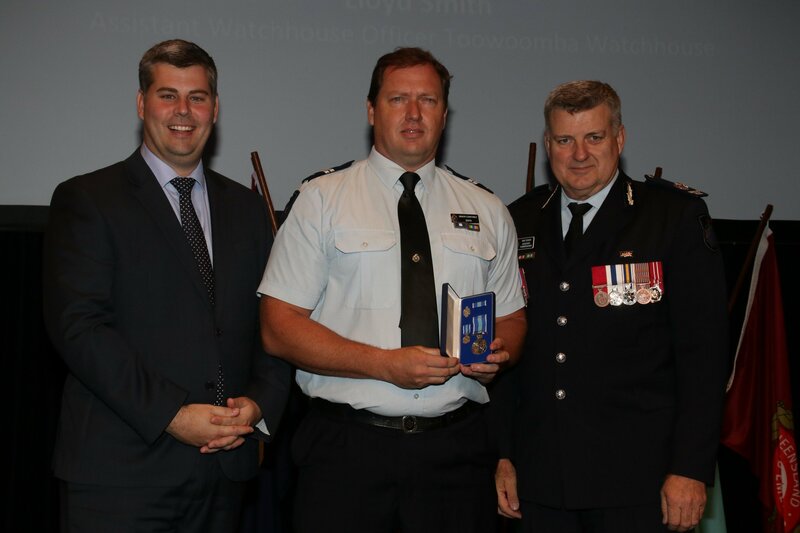 Sergeant Scott McGrath, Officer in Charge of the Darling Downs District Crime Prevention Unit was presented with the Exemplary Conduct Medal with Community Clasp. 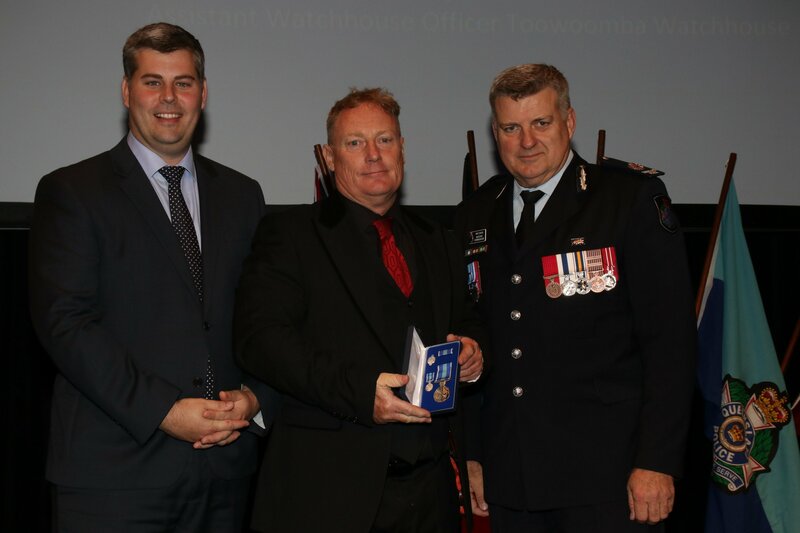 This award is given to officers who demonstrate exemplary conduct in a specific role or duty which enhances the professional image of the QPS far exceeding expectation. 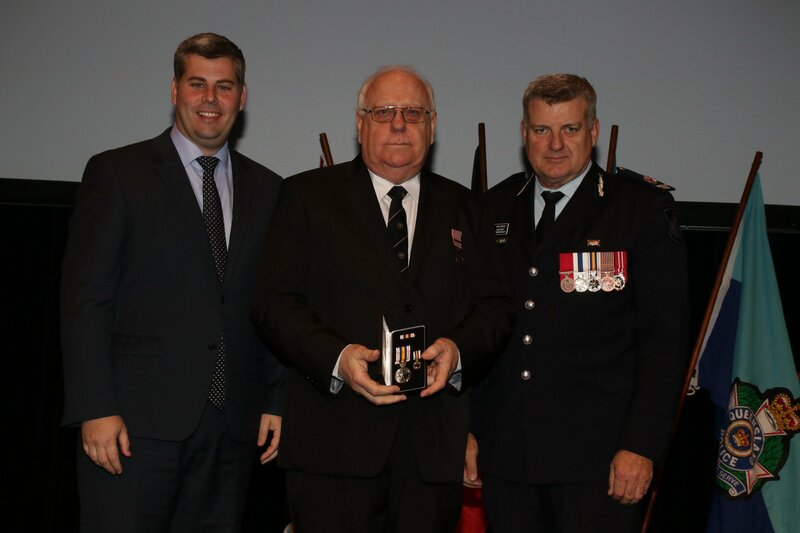 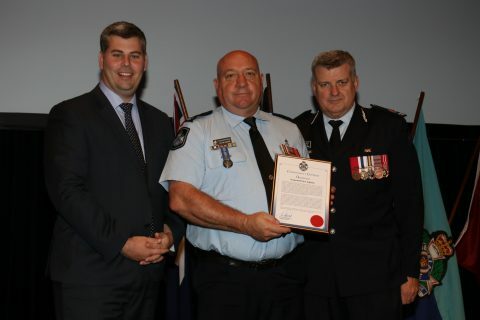 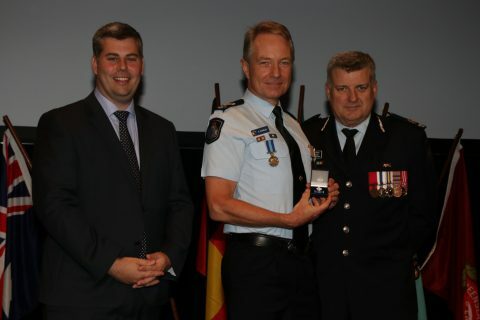 Sergeant Rik Christiansen from Toowoomba Watch House was awarded the Second Clasp National Medal which represents a minimum of 35 years’ service. 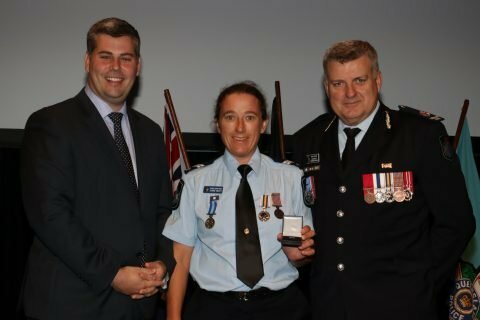 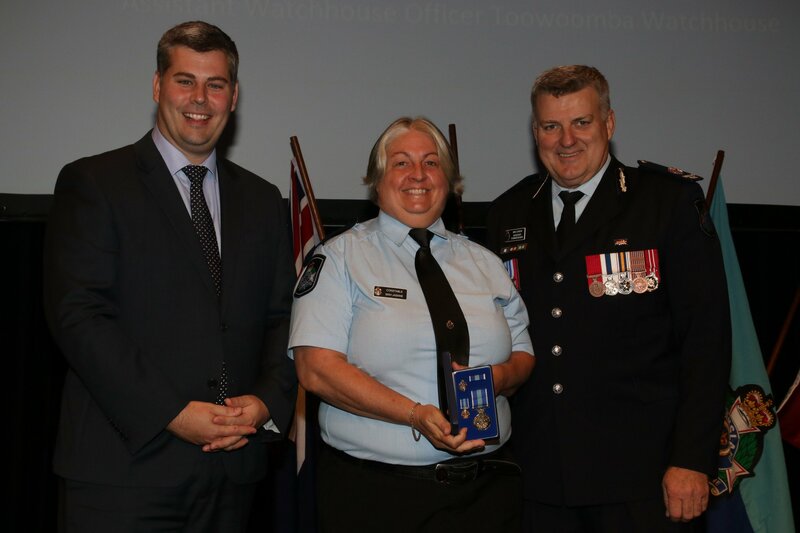 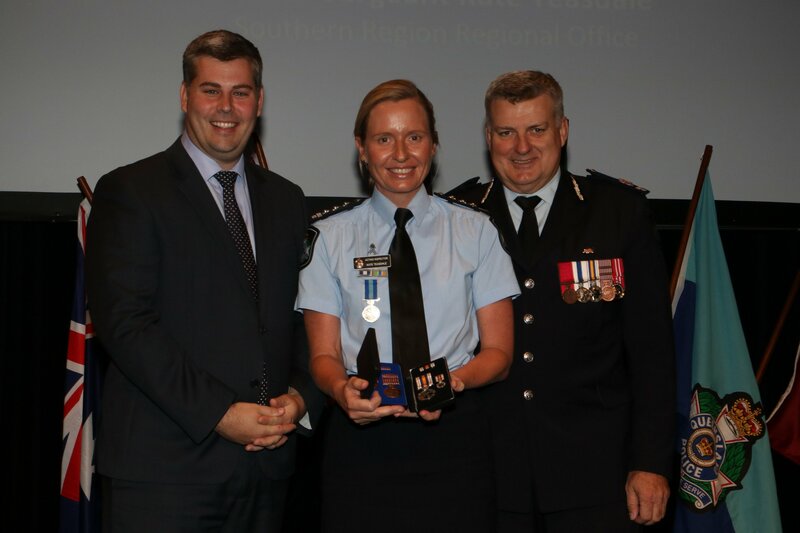 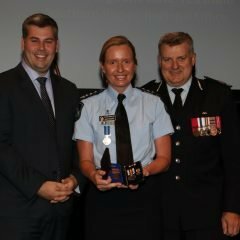 Senior Constable Joanne Bailey was awarded the First Clasp National Medal which represents a minimum of 25 years’ service. 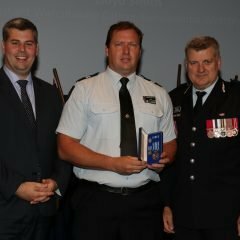 Two former officers, former Sergeant Anna Hunter and retired Inspector Eric Collins were also presented with the National Police Service Medal. 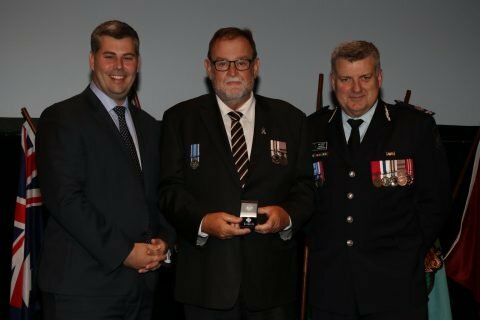 The National Police Service Medal recognises the special status sworn police officers have because of their role protecting the community. 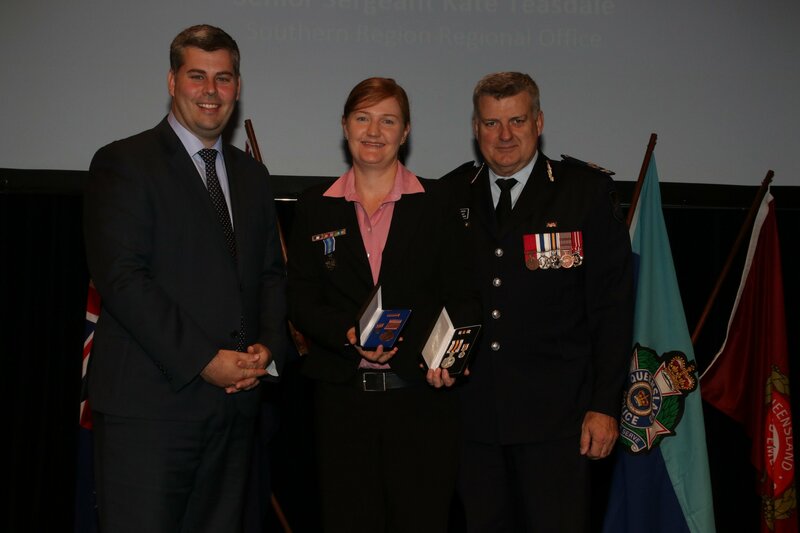 It represents a police officer’s past and future commitment to give ethical and diligent service. A minimum of 15 years’ service is required to qualify for the National Police Service Medal. Detective Inspector Lewis Strohfeldt received a 35 years’ service clasp to the Queensland Police Medal. 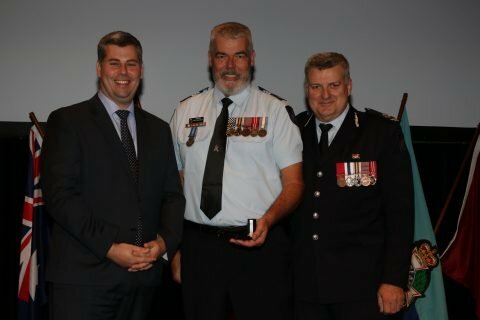 Senior Sergeant Russell Reynolds received a 30 years’ service clasp and five officers received service clasps ranging from 15 to 25 years’ of service. 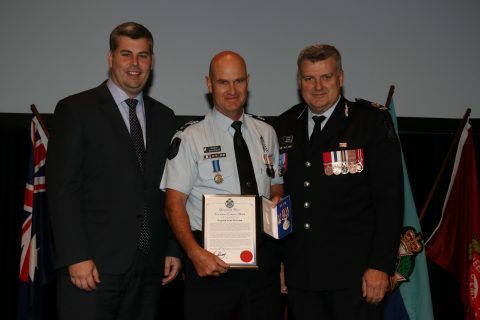 Plain Clothes Senior Constable Sharny O’Brien from Toowoomba Child Protection and Investigation Unit was presented with the Commissioner’s Certificate of Notable Action. 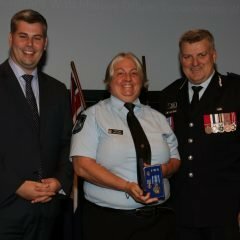 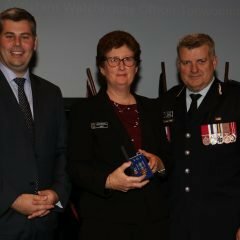 Senior Constable O’Brien actions at an incident in February 2017, demonstrated a significant act when placed in a potentially hazardous situation. 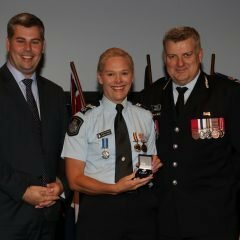 Senior Constable O’Brien and her partner at the time Constable Scott Nolan negotiated with a member of the public in an emotional state. 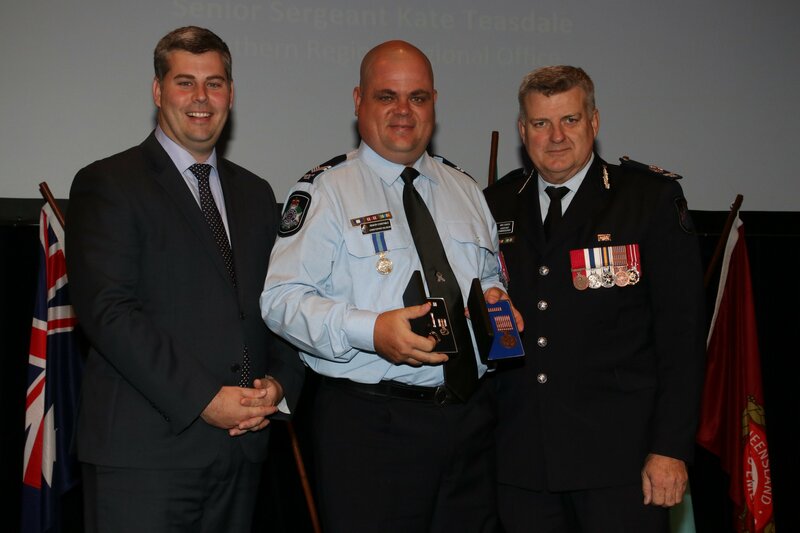 The two officers were able to successfully defuse the situation resulting in the person to be taken in custody without any injuries. Two officers from the Toowoomba Road Policing Unit, Senior Constable Luke Duffus and Senior Constable Michael Thomas were awarded the Assistant Commissioner’s Certificate (Operational) and Sergeant Peter Jenkins from Darling Downs District Tactical Crime Squad with the Commissioner’s Certificate (Operational). 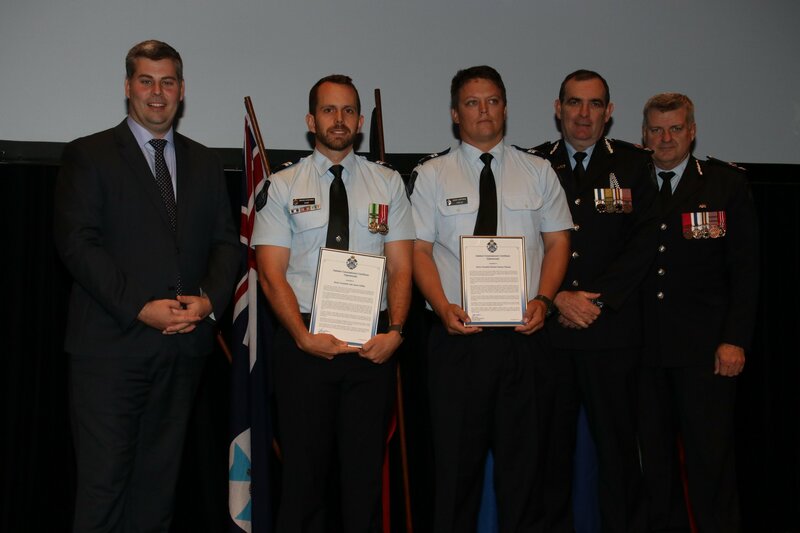 These certificates are presented to members of the QPS who displays intelligence, resourcefulness, dedication to duty to a degree exceeding what might reasonably be expected. 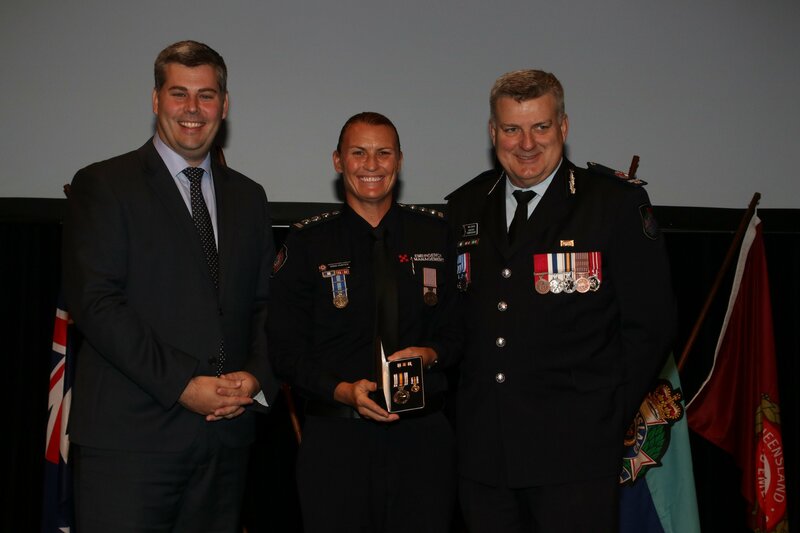 Sergeant Kirsty Gleeson was presented with the District Adopt-a-Cop of the Year award for her work with students and teachers from St Saviour’s Primary School, Toowoomba. 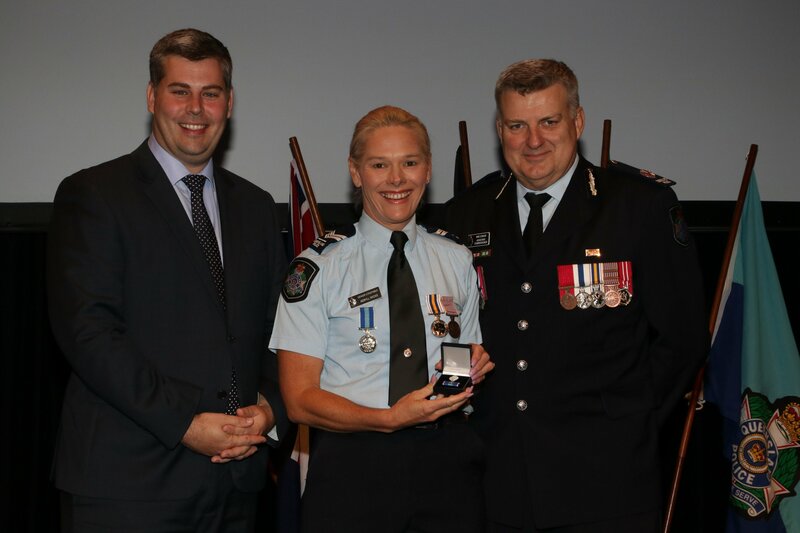 Assistant Commissioner Condon said that the police officers and staff members awarded at today’s ceremony continue to go beyond their call of duty and serve the Darling Downs District. 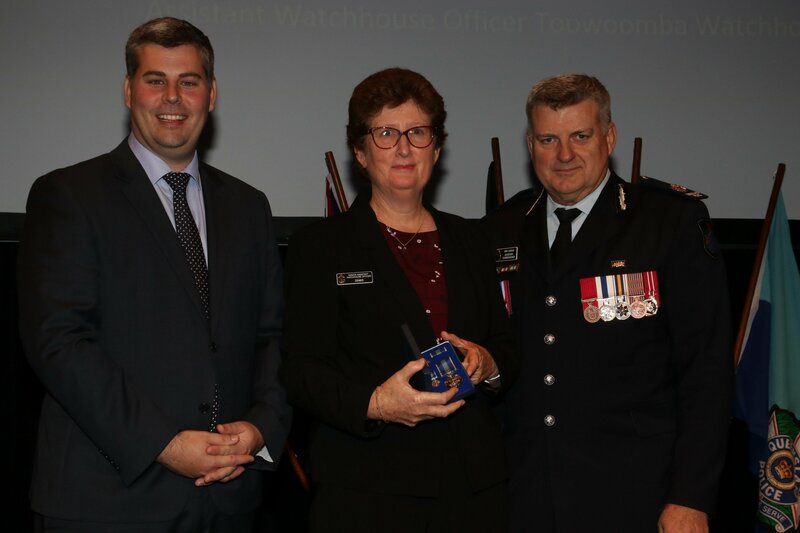 “The recipients who received awards today have demonstrated a range of skills and attributes that highlight boundless dedication and commitment, not only to their profession, but also to the Darling Downs community,” Assistant Commissioner Condon said.